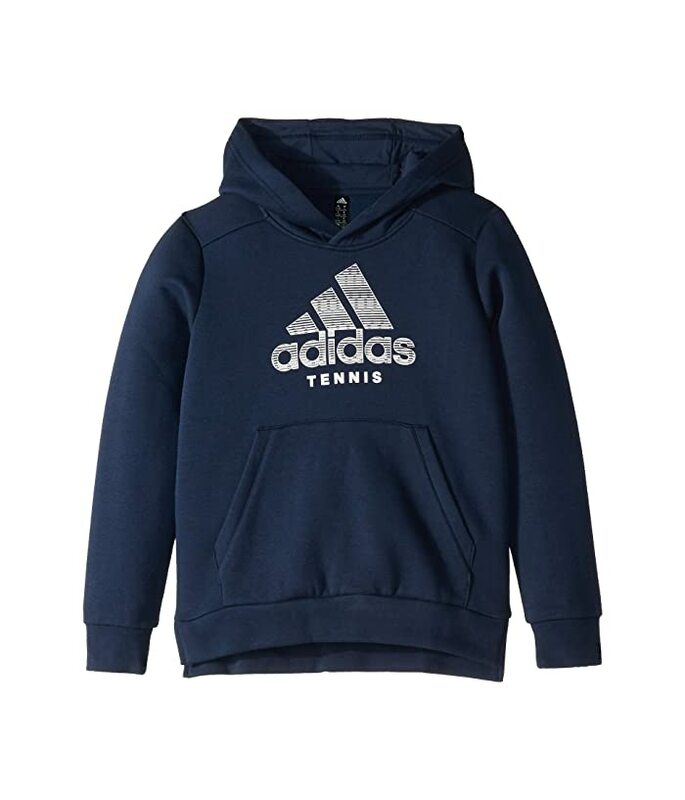 Change your pace off the court and keep your sporty look up-to-date in the warm adidas® Kids Club Hoodie. Standard fit sweatshirt skims the body with an easy pullover styling. Lightweight knit offers dependable warmth with a softhand finish. Modern Trefoil screened across center with brand marking.